Give a Gift Certificate and let them select their perfect Reed Diffuser gift! 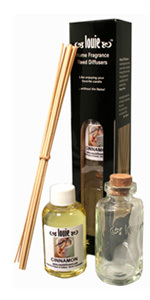 www.reeddiffusers.org can deliver your Gift Certificate via e-mail or US Postal Service mail. Use this simple form to send a Gift Certificate from V I Reed & Cane Inc. at www.reeddiffusers.org. 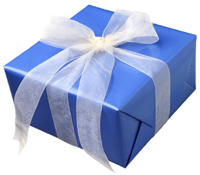 E-mail Gift Certificates will be delivered via e-mail upon check-out. E-mail certificates will include a link to the Online Store so that the Recipient can click directly to the Secure Online Store from their e-mail Gift Certificate delivery. Mail Gift Certificates will be mailed via post office to the address in your checkout information. Certificates will be mailed to the address specified during the checkout process. Gift Certificates from our store are valid for 1 year from date of purchase. The Gift Certificate will include a certificate number and pin number- which the recipient will use at the Checkout to pay for their purchases at www.reeddiffusers.org online store. To buy more than one Gift Certificate, fill out the form for each one and add to the Shopping cart one at a time by clicking "Buy Gift Certificate". Gift Certificates can be for different amounts, and you will pay for all of them with one purchase at the end.